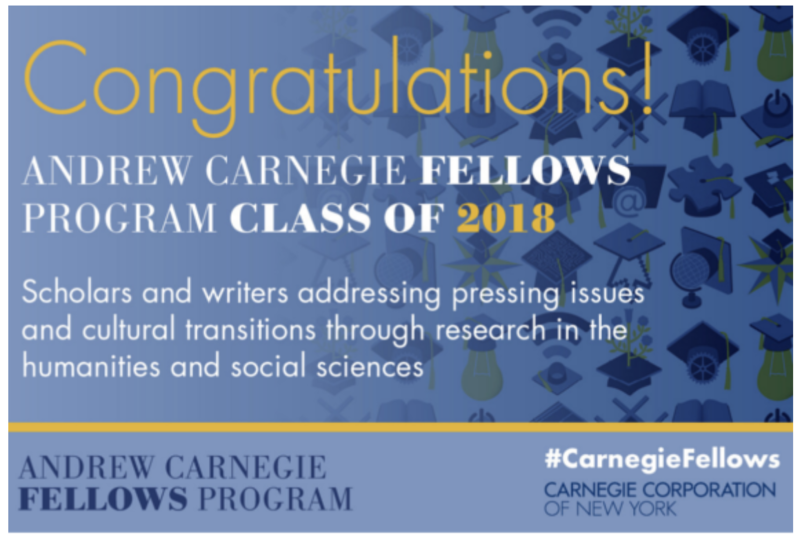 April 25, 2018: The Carnegie Corporation of New York today announced the 2018 class of Andrew Carnegie Fellows. As part of the so-called “brainy award,” 31 extraordinary scholars and writers will each receive up to $200,000, making it possible for them to devote their time to significant research, writing, and publishing in the humanities and social sciences. Read more here!